There is no stitching to show you that has come from my hands. I didn't think you wanted to see another shot of the my addressing station on the dining room table so here is a little eye candy. Love this bright shadow work done on organdy. It seems happy. 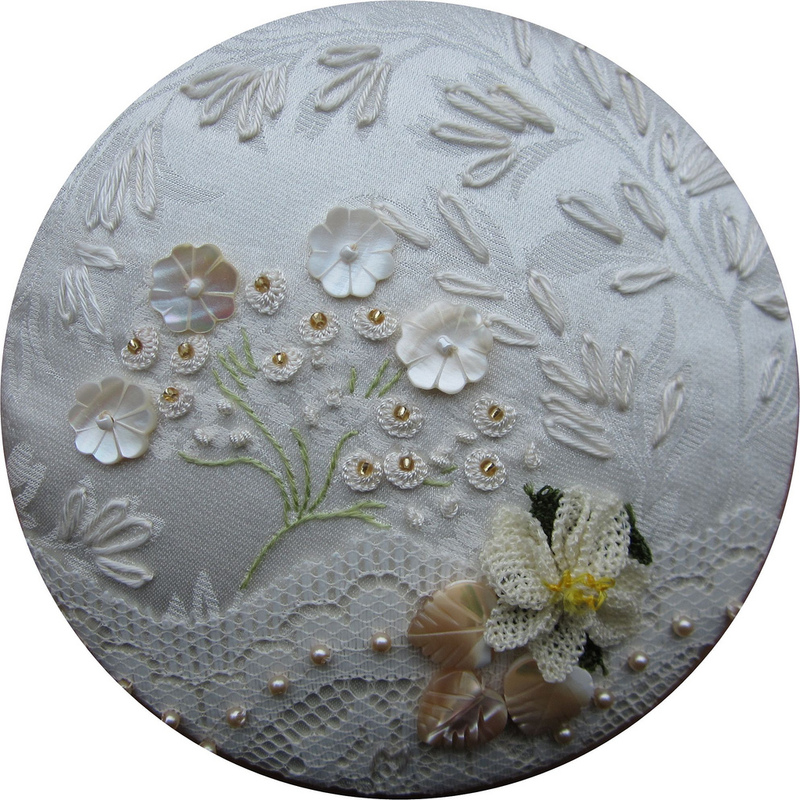 Another jewel I found was this embroidered pincushion. Love the mother of pearl accent pieces. 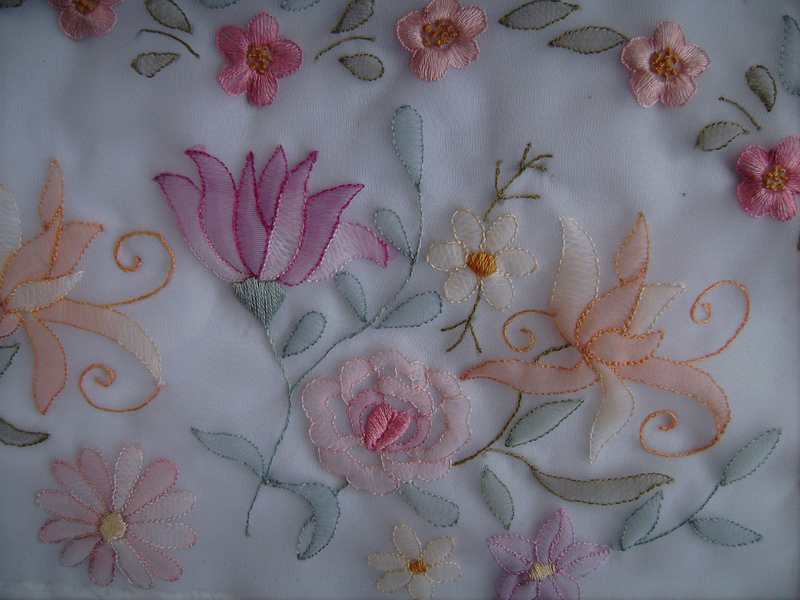 It is stitched on a piece of damask and you can see where the stitcher has "re-embroidered" the damask design. Just gorgeous. I needed a break from addressing and searching out inspiring stitches was just the ticket.